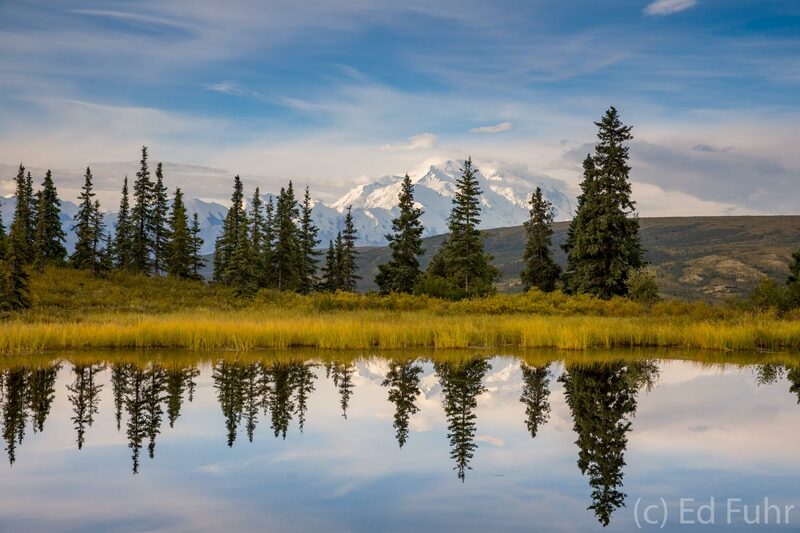 Mount Denali rises in the morning distance, reflecting in the still waters of Nugget Pond. . Photo © copyright by Ed Fuhr.